Also in the years 2018 and 2019: Articles published in Open Access journals can be funded completely because of DFG support. Starting in April 2013 the TUHH library has offered a fund to support proportionately the publication of articles in Open Access journals according to the criteria of the DFG. Since 2014 additional funds are available from the German Research Foundation (DFG) out of its funding programme “Open Access Publishing”. The funding occurs through the TUB according to the criteria of the DFG on the principle: First come – First serve. In case the DFG resources will have utilized within the scope of this fund, then 60% of the publication costs, but maximum 1.200,- EUR per article, are taken over by the TUHH library. The article is published in a genuine open-access journal which uses an approved quality control. References can be found at the Directory of Open Access Journals (DOAJ). Open Access articles which are published in subscription-based journals after the type of “Open Choice” (e.g. Springer Open Choice oder Wiley OnlineOpen) cannot be supported. 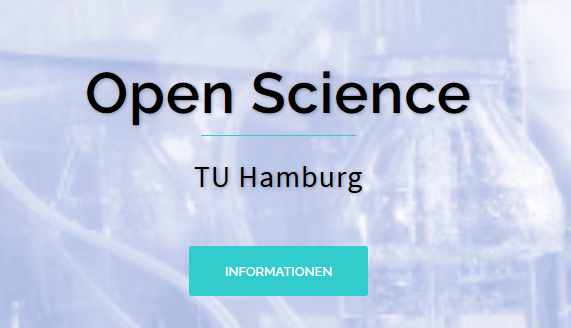 As a member of the Hamburg University of Technology you are responsible for the payment of the publication fees as “submitting author” or “corresponding author”. The publication fees must not exceed a maximum of 2.000 Euros incl. tax per article. Each article must contain a reference to the DFG support, e.g. in its “Acknowledgements”: This publication was supported by the German Research Foundation (DFG) and the Hamburg University of Technology (TUHH) in the funding programme “Open Access Publishing”. How can I apply for funding by the Open-Access Publishing Fund? After successful review by the TUHH library you receive a commitment for the – when indicated – prorated assumption of costs, as soon as your article has been accepted by the journal. The invoice should paid mostly first by the TUHH library, afterwards a prorated (when indicated) transfer posting on the cost centre of the institute occurs. Moreover the library needs a copy of the invoice. In case the costs have been paid by the authors directly, recovery will occur thorugh the TUHH library. We would like that the supported articles would also be uploaded to the TUHH Open Research (TORE) – in case it is legally allowed in the contract with the particular publisher. In the following you will find all publications funded by the publication fund of the TU Hamburg. Payments from the Publication Fund are published as Open Data within the framework of the OpenAPC initiative.